So I’ve used a number of my past posts talking up the internet as the ultimate medium for music news. The tool that allows musicians to speak directly with audience. The place to go for immediate news. But of course, it is not without its faults. It is often rife with misinformation. Anyone can write a blog. Hell, I can write a blog. The Splendour in the Grass line-up is due to be announced on Wednesday morning, and Australian music blogs are in speculation mode. And speculation can be fun, take for example FasterLouder’s photo gallery where they assess the likeliness of musicians appearing at the festival, from the probable – Elbow, who have confirmed they will be touring Australia in July (odds 2-1). To the fantasy – Blur, “well they are talking to each other again” (odds 100-1). To the plain ridiculous – Rebecca Black, recent teenage youtube atrocity (odds 1 billion-1). As I’m not a promoter, trying to guard a closely held secret, I am happy when artists let slip that they will be making an appearance. The Kills, The Vaccines, Cornershop, Friendly Fires and Gomez have all revealed they’ll be at the festival. What pisses me off is when the “full line-up” is “leaked” and it turns out to be fake. This probably only bothers me as I have the tendency to believe it, get far too excited and then feel let down when my favourite artists are missing from the bill. Muse, David Bowie, Placebo, Massive Attack, Kasabian, Lily Allen, Jet, Groove Armada, Rise Against, The Mars Volta, Phoenix, Vampire Weekend, Calvin Harris, Foals, Mastodon, Dizzee Rascal, Girl Talk, Powderfinger, Josh Pyke, The Dead Weather, Grinspoon, The Temper Trap, Karnivool, Monsters of Folk, Tame Impala, Dappled Cities, The Middle East, Philadelphia Grand Jury, Regular John and Former Child Stars. And several of those names there had me extremely excited. One in particular. It seemed to good to be true. David Bowie? Really? I could fill this whole post exclaiming my undying love for David Bowie, but that is another story for another time. Needless to say there was no David Bowie. There was no Dead Weather or Vampire Weekend, I’ve seen both bands since, but I have still not seen Bowie. I went to the Big Day Out, and despite the 40 degree temperature and the ever-growing number of idiots who go to festivals not for the music, but to get wasted and snog a stranger, I still enjoyed the bands I saw. 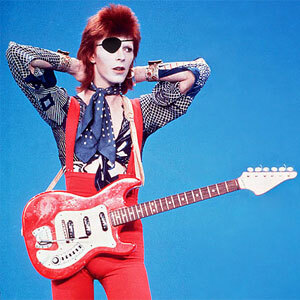 But there was a Bowie-shaped hole in my day. So I suppose this post could serve as a warning. 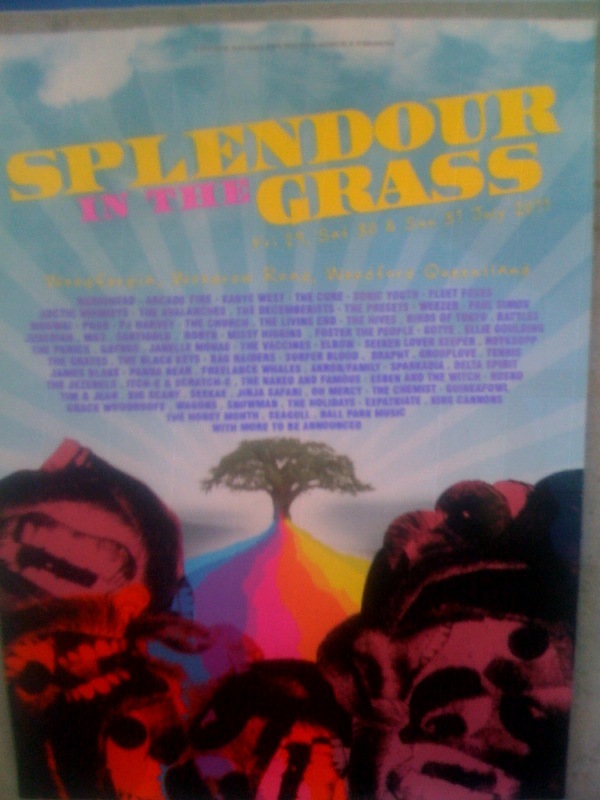 There have been some awesome rumours regarding Splendour in the Grass this year. In early February, this dodgy looking poster with an insanely good line-up sent forums a little crazy. PJ Harvey? Radiohead? Sonic Youth? Arcade Fire? The Cure!? It all sounded too much to be true. And it was. Promoters announced that not only was the artwork terrible, but the line-up was “way wrong”. Last week Daily SPA announced that Pulp have been confirmed as a headliner. I recently expressed my love of Pulp and I don’t want another Bowie-esque let down. But wouldn’t it be great? NO! I will not get my hopes up, I will wait patiently until Wednesday before I put Different Class on repeat. This entry was posted in Music, Online News and tagged Big Day Out, Cornershop, David Bowie, Festival line-ups, Friendly Fires, Gomez, Pulp, Splendour in the Grass, The Kills, The Vaccines. Bookmark the permalink.